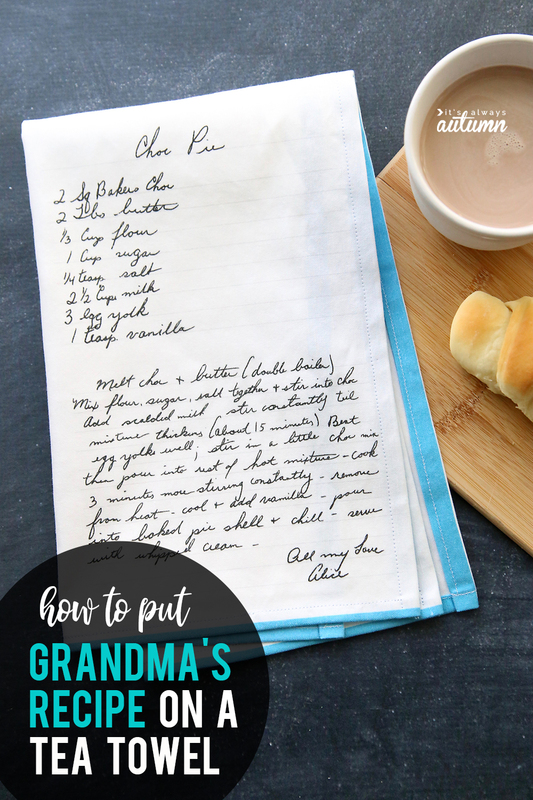 In today’s post: Learn how to transfer’s Grandma’s favorite handwritten recipe from an old recipe card to a kitchen towel for an beautiful heirloom gift! I wouldn’t be here if it weren’t for my Grandma Alice’s famous chocolate pie. My parents knew each other as children, but lost touch when they both went away to college. One day my Grandma heard that my dad (Ray) was back in town, and she got to work making a pie, which she asked her daughter (my mom) to deliver. My dad was the one who answered the door, and the rest is history! My grandma passed away about 10 years ago and one of the things I inherited was her recipe box. 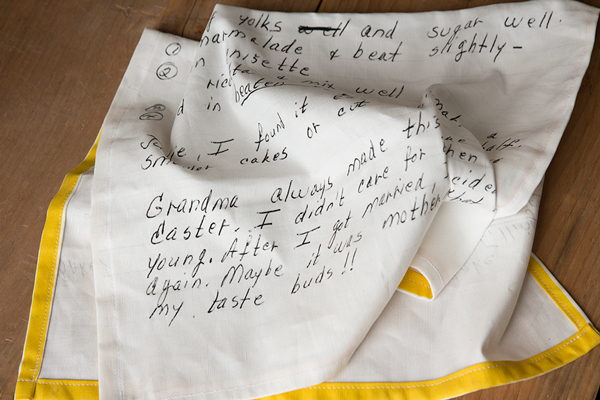 A few years ago I saw a kitchen towel with a recipe transferred onto it and thought that would be a fun gift for my mom and sisters. 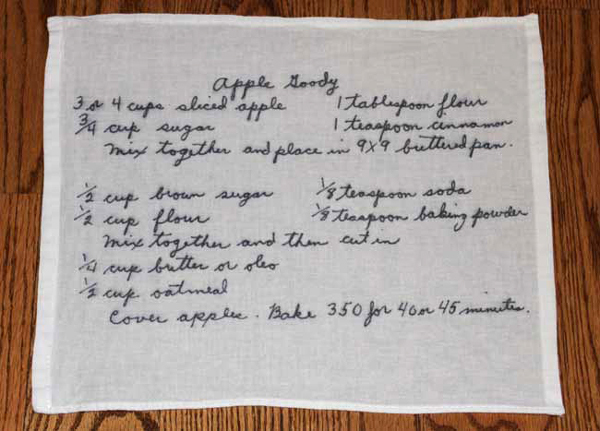 So I started searching online and found a number of different techniques for making a handwritten recipe kitchen towel. 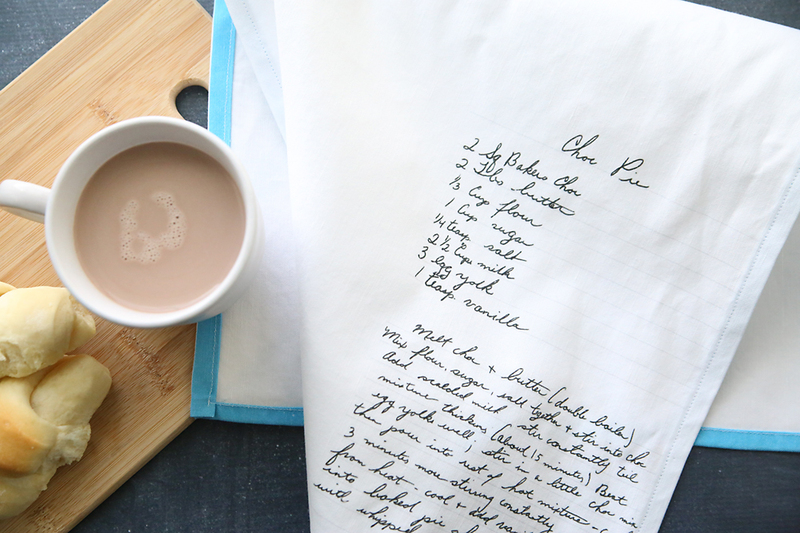 Today’s post reviews everything you need to know to transfer a handwritten recipe to a towel so you can preserve a favorite recipe on a gorgeous handmade gift. Out of all the gifts we give and receive for Christmas, birthdays, or other holidays, only a few of them are truly meaningful. This handmade gift idea is a way to preserve a bit of your family history in a way that can be shared and displayed. 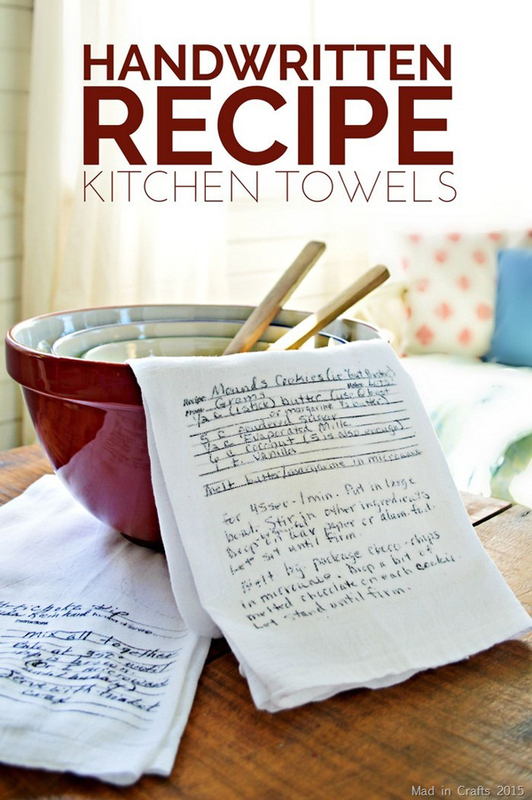 If you google “how to make a recipe towel” you’ll find lots of different tutorials using a number of different methods. I’ve read through them all so you don’t have to! 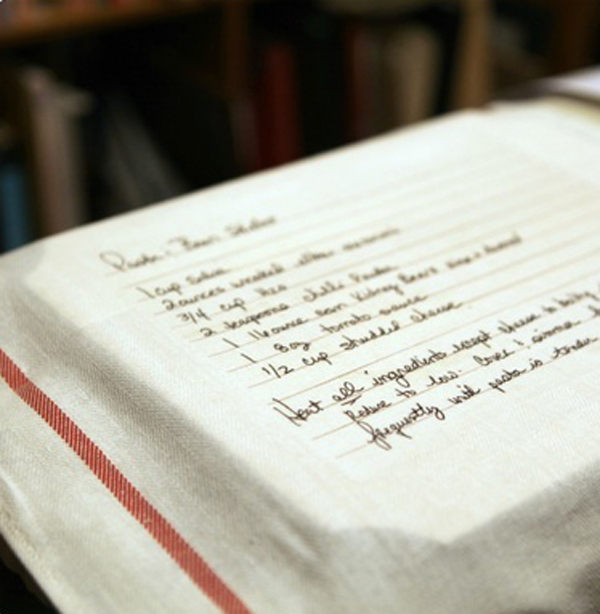 There are three main techniques for transferring a recipe to a kitchen towel (aka tea towel). I’ll give you a quick overview of each one and point you to thorough instructions, as well as detail the pros and cons of each method so you can decide which one is best for you. For this method, you will scan your recipe card and use a photo processing program to remove the background, leaving just the written recipe. You format your recipe to the size of a fat quarter and then upload the image to Spoonflower, a print on demand fabric company. Order the fabric, and a week or two later you have a professional looking fabric piece which you can hem for use as a kitchen towel. Here’s another example from The Modern Commonplace Book. 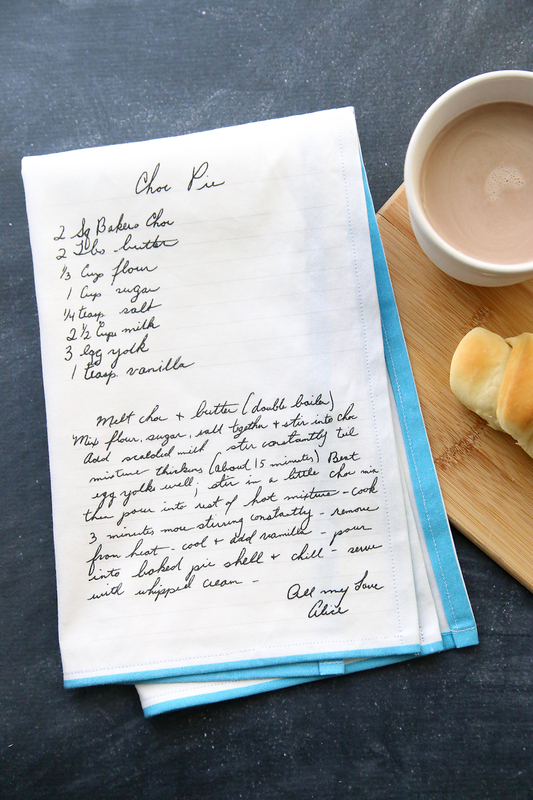 She used Picasa to edit her scans of the recipe, then ordered the fabric from Spoonflower. Click through for info on how to do that. This is the most professional looking option, and it preserves the exact character of the handwriting. Because the fabric is professionally printed it can be washed over and over without much fading, and it’s easy to order as many copies as you need if you want to make towels for multiple family members. This method is more expensive than the other ones I’ll share today. (I was able to order printed fabric for 8 towels for $55 including shipping, which I thought was reasonable, but if you are only making one towel the fabric + shipping will make it more expensive.) 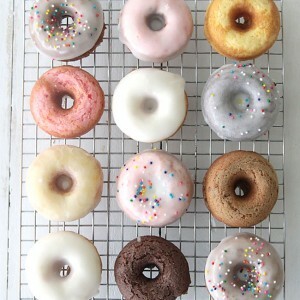 You also must be able to scan in the recipe and clean it up in a photo processing program if needed, and this can be difficult if the writing is faded or the recipe card is dirty or smudged. Finally, it also requires basic sewing skill to finish off the hem. 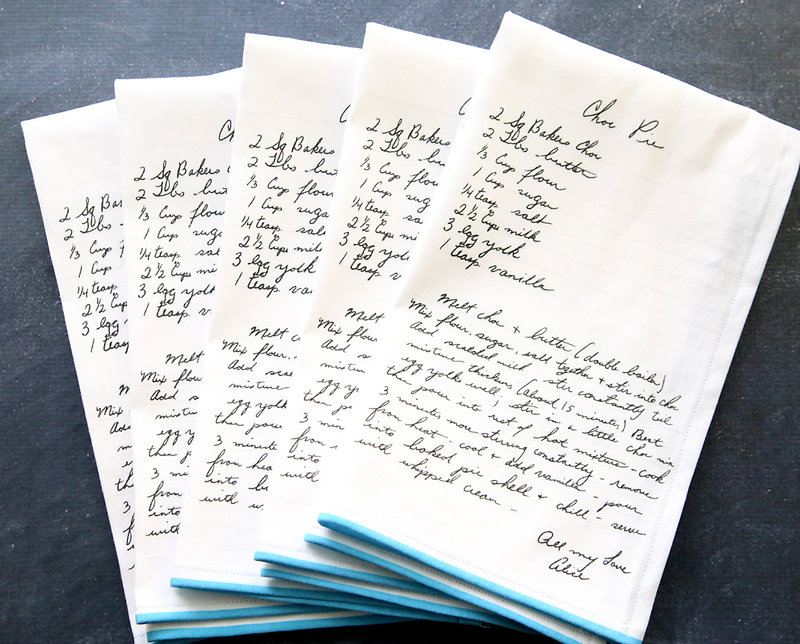 Bottom line: If you have a nice clean recipe card (or Grandma is still alive and you can have her copy a recipe onto a clean piece of paper) AND you are comfortable with a bit of sewing and computer work, this will give you the most professional looking and longest lasting result. Also, if you want to make multiples, this option is fairly quick. 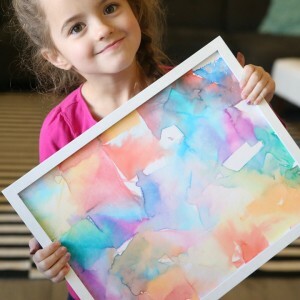 For this method, you will scan in your recipe and print it out larger OR get it blown up at a copy shop. Then you will trace it onto a purchased tea towel using a Sharpie. This is another example from Sometimes Homemade. Her post includes information on how to soak the towel in a homemade solution that prevents fading. This method is simple and straightforward and doesn’t require any computer work. The finished towel can be washed, although the text will fade over multiple washes. Since you start with a premade towel there’s no sewing involved. It’s also very inexpensive (you can find multipacks of simple tea towels for just a few dollars at craft stores or Walmart), and if you have a steady hand can turn out looking very nice. This method takes patience! Depending on how steady of a hand you have, this may take a while, AND if you make a big mistake you’ll have to start over. That makes this hard to do if you want to make more than one. Additionally, the sharpie will fade some in the wash.
Bottom line: If the recipe card is very smudged and dirty making it hard to get a good digital copy, tracing might be the best way to go. If you’re willing to put in the time to get a good copy, this method is inexpensive and straightfoward and ends up looking great. 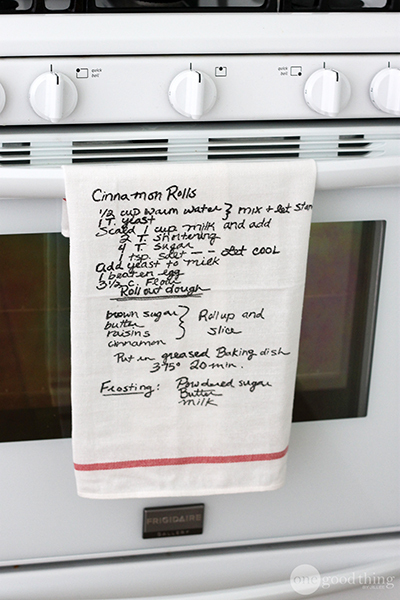 This method involves scanning in your recipe and printing it on iron on paper, which you then iron onto a purchased towel. This method is super fast and super easy! There’s no painstaking tracing, no messing around with computer programs, and no sewing. And you get an exact replica of the card on your towel. It’s easy to make multiple towels, and transfer paper is usually easy to find and not too expensive. The iron-on paper will change the texture of the towel so it won’t look quite as professional as either of the above methods. Remember your image can only be as large as you can print and you’ll need to reverse the image before printing it out. Finally, I would not recommend washing the towels as most iron-on images crack after a few washes. 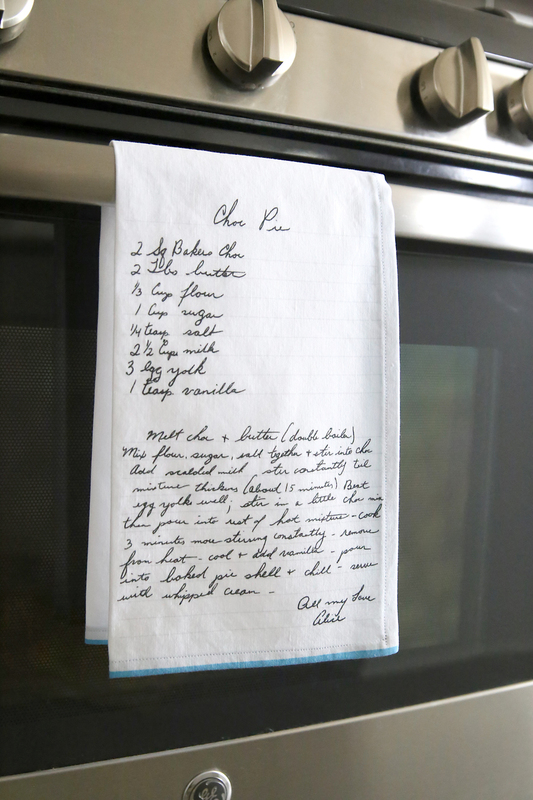 Bottom line: This method of transferring a handwritten recipe to a towel is fast and easy as long as the item will be for display ONLY. Ok, I hope this is useful for those of you who are interested in tackling this project! 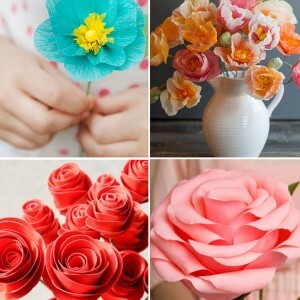 It’s really a beautiful, meaningful handmade gift idea. 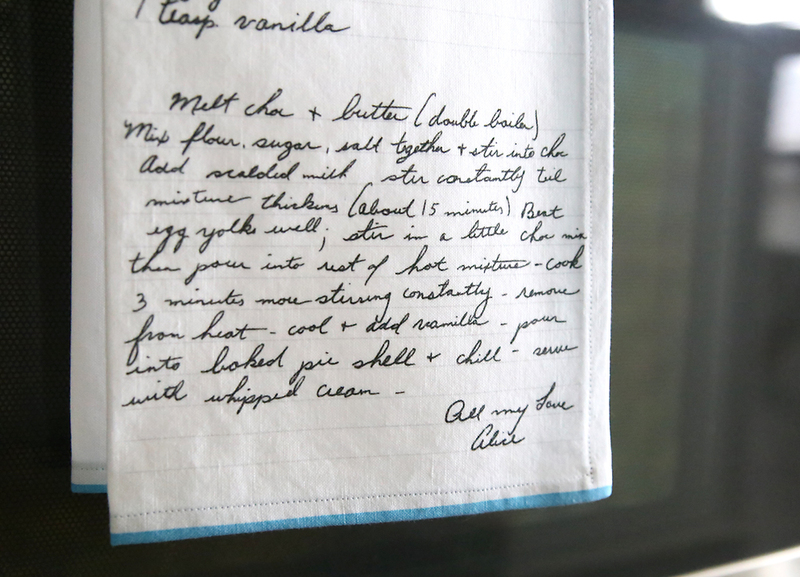 NOTE: My recipe card was too faded and smudged to be able to extract the handwriting in Photoshop. I ended up tracing the recipe onto another piece of paper, then scanning that in and adding lines. So I combined methods #1 and #2. Beautiful heirloom idea!! 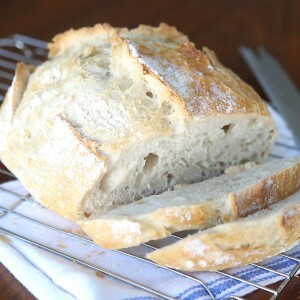 And thank you for the great shot of the entire recipe….you KNEW we’d want it! 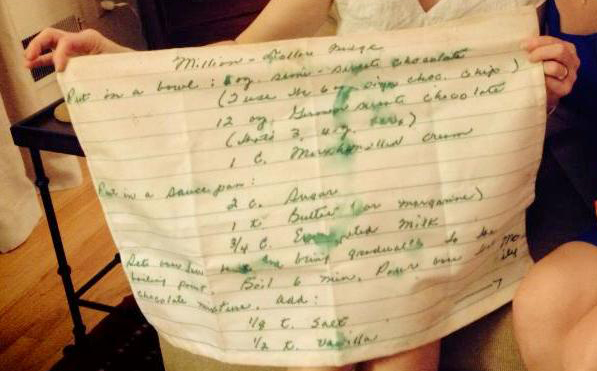 Great project Autumn, if I had a copy of my mother’s recipe in her handwriting I would treasure it forever. Full Disclosure … this recipe makes the absolutely BEST chocolate pie in the world!